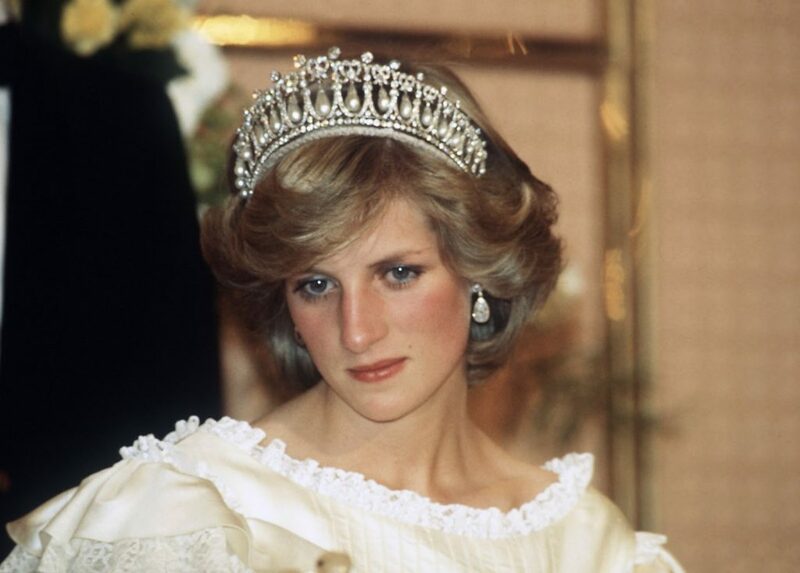 1992 was the year that the relationship between Princess Diana and other senior British royals changed irreversibly. In June Diana collaborated with UK author Andrew Morton in a book which exposed Prince Charles’ relationship with his lover Camilla Parker-Bowles and Diana’s mistreatment by senior members of the royal family. In October 1995 Princess Diana penned a note in which she stated that she feared for her life and believed Prince Charles was “planning ‘an accident’ in my car.”2 She left the note with her butler, Paul Burrell, for safe-keeping. Later that month Diana met with her lawyer, Lord Victor Mishcon. He wrote the next morning that Diana had told him efforts could be made to “get rid of her… by some accident in her car such as pre-prepared brake failure.”3 Mishcon had this note typed up and kept it in his safe. Five days after that lawyer’s meeting Diana pre-recorded the famous ‘Panorama’ interview with BBC journalist Martin Bashir. It was around this time Princess Diana accepted an offer from long-time family friend and owner of Harrods, Mohamed Al Fayed, to holiday with his family at his St Tropez villa in mid-July. The offer extended to Diana and her two sons, William and Harry. At that time Al Fayed was viewed by the British Establishment as a person of ill-repute – he had recently been heavily involved in the “cash for questions” scandal that helped bring about the downfall of Britain’s Tory Government in May 1997. First, senior royals called a special unscheduled meeting of the Way Ahead Group (WAG), chaired by the Queen. This meeting took place on 23 July and was preceded two weeks earlier by a special preparatory meeting attended by senior royal household officials, including the Queen’s private secretary, Robert Fellowes. The preparatory meeting was held on 8 July – three days before Diana and the princes left on the contentious Al Fayed holiday – and the full WAG meeting occurred on 23 July – three days after the holiday had concluded. Diana and Monckton left for the Greek islands on the 15th – “it was just the two of us” Monckton later told the inquest.11 What she didn’t say was that their hired 20 metre boat, the Della Grazia, was shadowed by three super-yachts chartered by MI6, the Marala, the Sunrise and the Sea Sedan. The Mercedes driver, Philippe Dourneau, said they were “coming from all angles, from front and behind – they were all over the place.”16 They took many flash photos on these trips – none of which have ever been published. The evidence indicates they were operating as fake paparazzi, helping to create an environment where later the real paparazzi could be falsely held culpable for the crash. On that Saturday evening Lafaye parked his Mercedes S280 at 8.15pm. At 8.20 Claude Roulet is shown on CCTV leaving the Ritz Hotel. It is likely Roulet pointed out this Mercedes to other agents, who then had ample time to tamper with the vehicle prior to its final departure after midnight. Henri Paul departed from the hotel at 7.01pm, but quickly returned at 10.06 following the couple’s arrival. After 11pm he made four separate visits to the paparazzi waiting out the front of the Ritz. Henri was providing regular updates on how long it would be before the couple appeared. It was essential to the MI6 plan that the paparazzi were still present when Diana and Dodi departed – they would try to follow the car and later be falsely blamed for the behaviour of the fake paparazzi, the assassins. The late John Morgan wrote two explosive books exposing the conspiracy to murder Princess Diana. Information on How They Murdered Princess Diana: The Shocking Truth, and Paris-London Connection: The Assassination of Princess Diana.